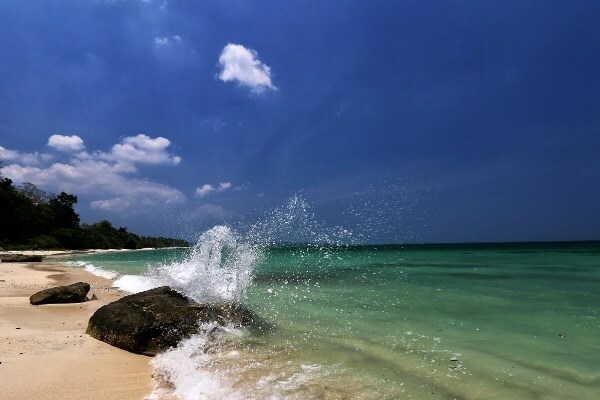 Andaman hosts an annual tourism festival in December and January, but October to May is generally a good time to visit. Below is a list of places to add to your itinerary and explore the best of Andaman Islands on an ultimate backpacking trip. If you are travelling by flights, this is where you will land. Port Blair though a little crowded, is not overly crowded to prevent you from having a good time. Port Blair is also one of the more commercialised places in Andaman. One of the major tourist attractions in Port Blair is the cellular jail. The cellular jail, also known as Kaala Paani was used by the British to exile Political Prisoners. Visiting this place provides a fascinating insight into India’s political, pre-independence past. One can also visit the Anthropological Museum which offers a rare insight into the subtler nuances of the way of living of local tribes. (Recommended Read: 6 Ultimate Reasons to Add Andaman to Your Bucket List) The local bars in the Main Bazaar serve massive royal faloodas which are a great delight to the taste buds. Havelock Island is one of the major attractions for Solo Backpackers. It has a lot of cheaper stay and food options which makes it a good fit for budget travellers as well. The first attraction is of course the Radhanagar Beach. It has been rated the seventh best beach in the world by Times Magazine in the year 2015. It is the perfect place to catch a sunset at Havelock. Other beaches at Havelock include Govindnagar Beach, Elephant Beach, Vijaynagar Beach and Kalapathar Beach. There are lots of bike rentals available along the beach as well. You can just zoom off on one and explore the area as per your liking. 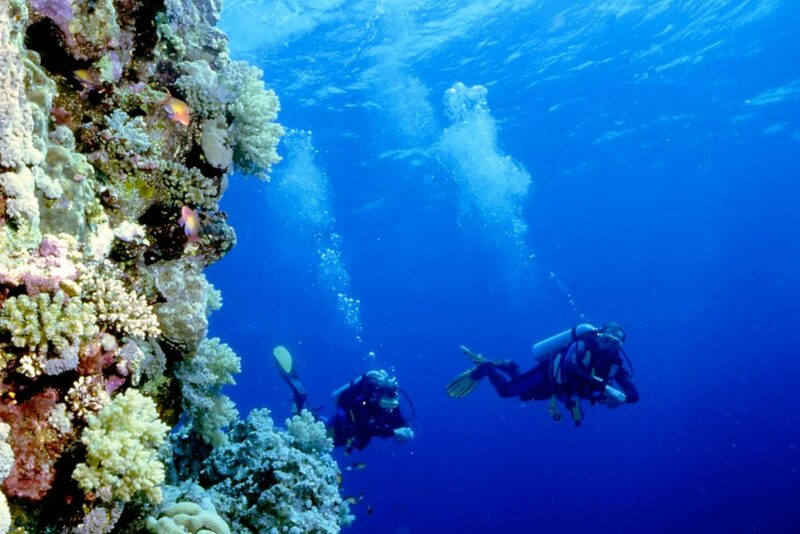 Scuba diving is the most popular activity on Havelock Island. The certified diving operators offer fun diving as well as certification courses in scuba. Elephant Beach is yet another beach worth paying a visit to. The waters are till date quite unexplored making it possible to even spot schools of fishes at times. One can also take a short 2 kilometres hike up to Elephant Beach. Contrary to popular beliefs, the trek to Elephant Beach is well marked and safe. Kalapathar beach is a fantastic picnic spot because it is pretty far from the main town. Cook your own meal, listen to music and dance on the beach. On one side is a lush green forest and on the other hand is the heavenly and silvery beach. You can also explore the nearby cafes. Neil Island has been touted as having one of the most beautiful Beaches in the world. This island is rather quaint and is bursting with flora and fauna making it a pristine location for solo travellers craving peaceful alone time. Bharatpur Beach is one of the main attractions of this Island. The beach offers a variety of activities such as snorkelling, scuba diving and jet skiing. One of the must-try activities on the Island is a glass boat tour. The bottom of the boat is made of glass, giving the takers an opportunity to explore the aquatic life. Another hidden gem is the Laxmanpur beach. One must try to be at this beach during sunset, the colours that the sunset leaves on the canvas are just magical. Other places that can be visited are Sitapur Beach and Andaman’s very own Howrah Bridge which serve as a visitor’s delight. Diglipur is a small town in the Northern part of Andaman Islands. A must visit place for solo backpackers, offbeat travellers and nature lovers. It is an excellent alternative to other areas which one might find commercialised. It is comparatively less explored as it is quite far from most other locations. Saddle Peak is located at the Northern Most point of Andaman and Nicobar Islands near Diglipur. It is about an hour and a half to two hours ascend that will take you to this beautiful top and give a gorgeous view of the islands. If you start early enough like most trekkers do, you get to see a sunrise that will make you drop your jaw. The trek is from within the forest but is quite safe and has no scare of wild animals. Baratang Island is gifted in many ways than one can imagine. It is very different from the rest of the Andaman. The first attraction is the Limestone Caves. These caves have been formed by constant erosion by CO2 dissolved in water. Fantastic figures can be seen dangling off-the roof and growing from within the ground. Going to these caves is almost like a trekking expedition as a lot of walking and moving around is involved. However, a visit to these caves will be like nothing else you have seen before. Another interesting place would be the Mud Volcanoes. One would imagine a volcano as a lava-spewing machine of sorts. However, mud volcanoes are nothing like those. Mud Volcanoes are a rather uncommon find, and the one in Baratang is the only one in the whole of South Asia. Another rather significant part is the Parrot Island which is a bird-watchers (no pun intended) delight. One of the most beautiful sights is at dusk when hundreds of birds can be seen chirping in unison. If you wish, you can also visit Baludera Beach. It is quite isolated and less visited. You can even get a good elephant ride at the beach. Firstly, do not try to carry corals and shells without specific permits from concerned fisheries department. Secondly do not take photographs or videos inside the Tribal Reserve areas. Thirdly and most importantly avoid staying on the beaches or the forests during the nights. Ensure that you properly bargain with the auto riders as they can overcharge. Ensure you carry a lockable backpack so there is no chance and scare of petty thefts. Check the blog about everything you need to Know about Andaman for more interesting facs about Andaman. Thomas Cook customises its Andaman tour packages to suit your requirements and make your solo trip a memorable one.